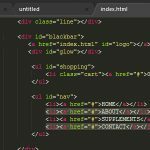 If, like me, you spend all day staring at a Dreamweaver code screen, you may have given thought to your eyesight and the steps you take to preserve it. After over 10 years of software development, I have finally taken it upon myself to set my IDE background to black. I have tried this a couple of times over the years, but have immediately changed it back due to it looking ‘wierd’. 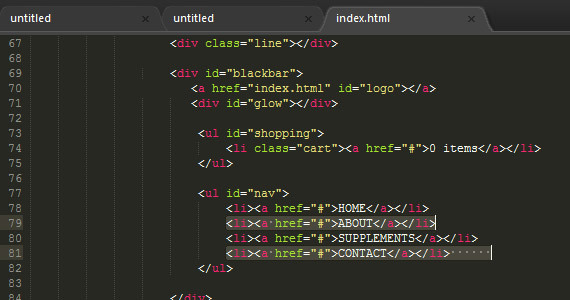 I had just become too accustomed to the colour coding scheme PHP uses and found it extremely difficult to re-adjust. After a scour on the internet for some sort of ‘theme’, I came across this excellent color scheme. I’ve now applied this colour scheme to the three PCs I develop on and two weeks down the line I’m really getting used to it. I think it will take another couple of weeks before the colours become second nature to my brain, but it’s worth it in the long run.